The transformer was an "air-breather". The filtration was not very effective and as a result significant quantities of airborne particles entered into the system. This particle is identified as quartz by its low birefringence and moderate refractive indices,near that of the transformer oil. It is uniaxial and has a positive optical sign. The grain is rounded and has some attached clay. This combination of features rules out its use as a filler in any of the transformer components and rules out it being an abrasive residue. 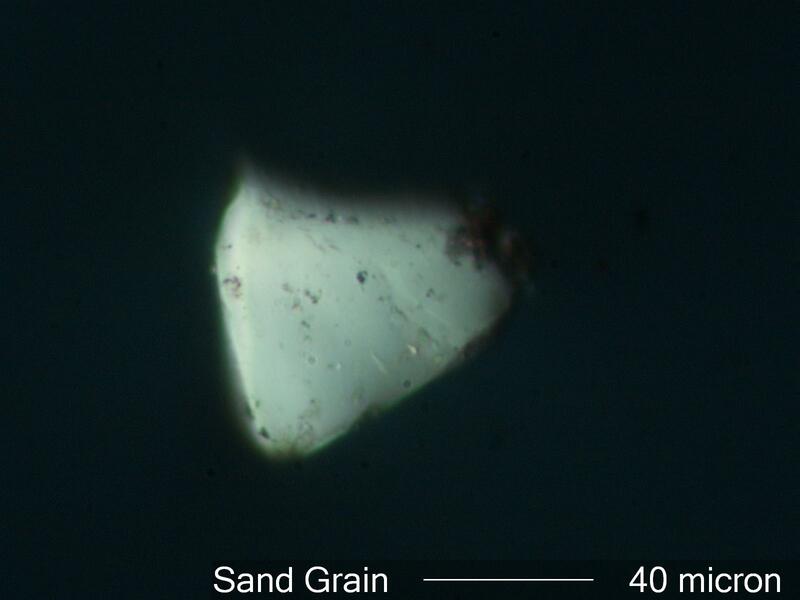 This is a sand grain that has entered the system.